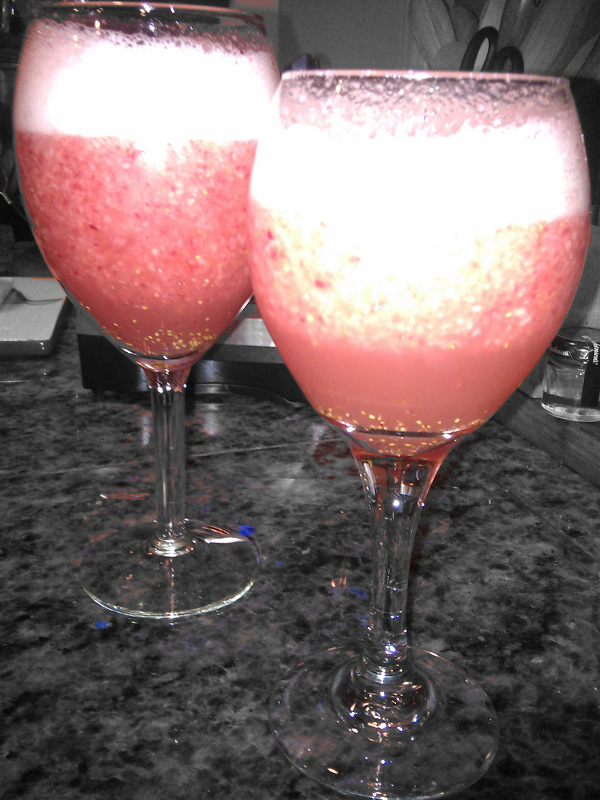 Puree strawberries with the first cup of sparkling apple cider. Blend just to puree; do not overblend. This will fizz a lot. Pour puree into glass. Slowly add remaining sparkling cider to fill. Be careful; it will fizz even more.